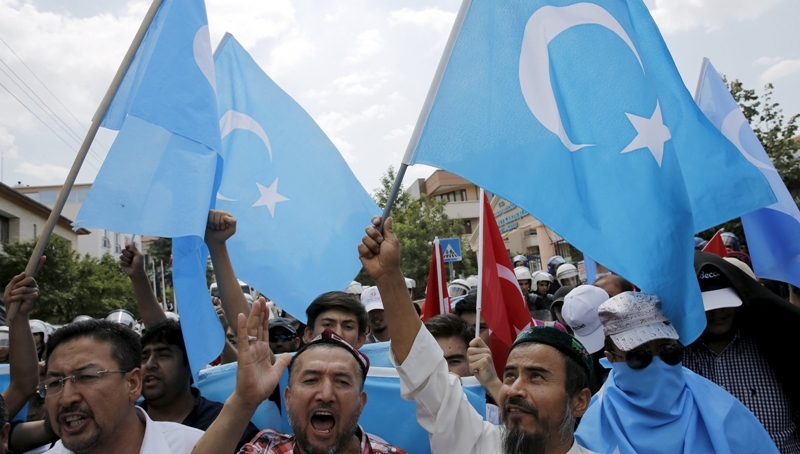 The Turkish Foreign Ministry released a statement the 9th Feb 2019 calling on Beijing to respect fundamental human rights and close its internment camps for China’s Uighur Muslims calling them a “great shame for humanity.” Foreign Ministry spokesman Hami Aksoy added that “it is no longer a secret that more than 1 million Uighur Turks incurring arbitrary arrests are subjected to torture and political brainwashing in internment camps and prisons.” Turkey is the first of any of the Muslim rulers to speak out against China’s treatment of Muslims. Turkey has a recent history of picking and choosing which issues to address based on the benefit it brings to the country’s ruler, using Islamic sentiments and slogans relates issues for support from the masses, but doing little about them. We have seen Erdogan visit Gaza, make statements about Syria, but doing everything to implement the plans of Western powers. In a last-ditch effort to save the country form embarrassment in light of Brexit negations, British Defence Secretary Gavin Williamson called on the country’s Western allies to prepare to defend their interests by using “hard power,” which in this case includes the UK sending its aircraft carrier, the HMS Queen Elizabeth, to the Pacific region. The defence secretary has made a number of bold statements since becoming defence secretary in 2017, including sending British forces to the Caribbean on regular patrols. Whilst Britain’s rules the oceans in the 19th century, after WW2 Britain’s role in the world declines, along with its economy and it was no longer able to support its military. Successive cuts to the military have rendered it unable to fulfil the many bold claims the UK makes about Britain’s political role. Cash-strapped Pakistan is set to receive an integrated Russian investment package of $14 billion for the country’s energy sector, including offshore gas pipeline and underground storage projects. A Russian delegation headed by Gazprom Management Committee Deputy Chairman Vitaly A Markelov pledged to make the investment during a recent visit to Pakistan, the Express Tribune reported. The Russian companies would build a gas pipeline from Karachi to Lahore to transport imported gas for meeting the needs of the Punjab province. Out of the USD14 billion, Russians would invest around $10 billion in an offshore gas pipeline project, $2.5 billion in the North-South pipeline project and the remaining on building underground storages in Pakistan. Russia has long been looking for commercial interests further from its traditional areas. It seems Pakistan’s rulers are prepared to accept money from anyone that gives it, despite its own economic failures to resolve Pakistani’s problems.